!! Baby on water skis !! I know, it’s not quite as cute as a little smush-faced cat, but a baby on water skis is pretty remarkable. Watch the little tyke zoom around the lake in this video, which is sort of crappy quality, but you’ll get the idea. I think I may have just posted this because the baby looks sort of like me at that age. 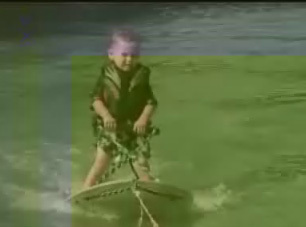 Be the first to comment on "Baby on water skis"